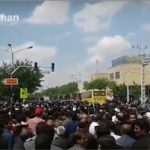 Last week’s protests continue to rage in Isfahan province. 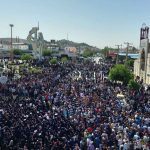 Protestors from all walks of life took to the streets and demonstrated from Khorasgan Square, Jay Street and Ahmadabad Square in Isfahan. The protestors gathered in overwhelming numbers, women vented their frustrations with the crowd, the nation’s youth protested for a brighter future, and farmers took up their shovels and chanted with their fellow compatriots. The noise was rousing. 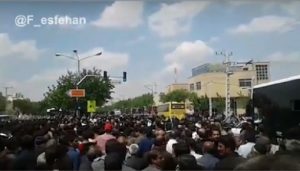 Chants of “Rouhani the liar” and “shameless authorities, they are thirsty for the blood of the nation,” rang out across the province in a chorus of defiance against the repressive Iranian regime. Hundreds of farmers have complained about the lack of water available. Their livelihoods are under threat as drought racks the Iranian agricultural sector. What water is available, is denied to the farmers. The corruption and mismanagement of water resources from the Iranian regime have exacerbated the problem and left many rural communities without water for their crops. Government officials are taking bribes in exchange for diverting water sources to neighboring regions. In Isfahan province, its main river has seen its flow diverted to neighboring Yazd province, leaving the region dry and the citizens unable to grow their crops. 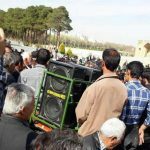 As the protests spread and more citizens took to the streets, inspired by the farmer’s courage and relishing the opportunity to vent their frustrations with the Iranian regime, the authorities attempted to block their path to the farmers. They erected barriers and parked cars to stop the magnitude of protestors from swelling. However, there is little the regime can do to delay the inevitable. 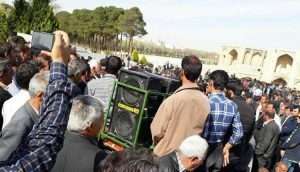 The determination of the brave farmers in Isfahan quickly inspired others to mount their own protests. 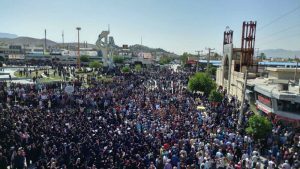 In Tehran, Rasht, Ahvaz, Mashhad, Kerman and Ardebil, members of the cities institutions that have seen their finances looted by the regime joined the civil unrest sweeping across the country. The leader of Iran’s opposition (MEK), Maryam Rajavi, praised the farmers of Isfahan for their perseverance and determination. She also expressed solidarity with the urban population’s dissent. The only way to bring an end to the Iranian regime’s tyranny is to show Rouhani and the world that the Iranian people stand in opposition to the regime. Maryam Rajavi and all those in opposition must stand together in the face of adversity. Like the farmers in Isfahan province, we must demonstrate that our determination is unwavering, and our perseverance to regime change is limitless. 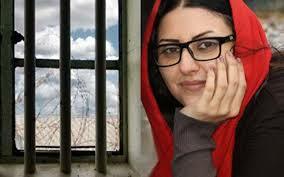 The Iranian regime’s animosity toward the People’s Mojahedin of Iran (PMOI/MEK) is well-established. On April 8, Struan Stevenson, Coordinator of the Campaign for Iran Change (CIC), reported that the regime is using the European Parliament as political cover for further action against PMOI/MEK members in Albania. The Iranian refugees were relocated from Camp Ashraf and Camp Liberty in Iraq after an extended campaign by supporters in the U.S. and Europe in an effort to protect the MEK camp residents from continued attacks coordinated by the Iranian regime. Iran’s mullahs were enraged by this action, having waged a longstanding smear campaign against the PMOI/MEK to delegitimize the resistance organization and prevent their safe relocation to Albania. Now the regime is pushing back against the PMOI/MEK again after a nationwide uprising in Iran in December 2017/January 2018. 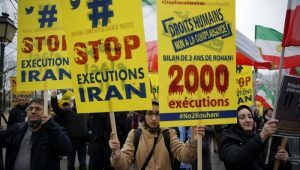 The Agence France-Presse (AFP) reported that on January 2, 2018, President Hassan Rouhani called French President, Emmanuel Macron, and accused the PMOI/MEK, currently based in Paris, of organizing the uprising. In this call, Rouhani asked Macron to take action against the PMOI/MEK and Mrs. Maryam Rajavi, leader of the Iranian opposition. President Macron declined this request. 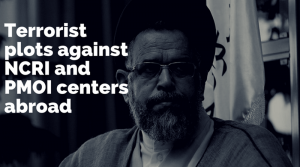 On January 9, 2018, Ayatollah Ali Khamenei, the Supreme Leader, officially acknowledged the PMOI’s role in the uprising and implicitly threatened the protesters who were arrested during the demonstrations with execution. The regime’s appointment of Gholam Hossein Mohammad Nia and Mostafa Roodaki, two senior officials of the Iranian Ministry of Intelligence (MOIS), as the ambassador and first secretary of the embassy in Tirana, is a troubling development. Tehran is currently using them, along with the Habilian Center and the Didban Institute, to vilify the MEK. Both of these organizations are flimsy covers for branches of the MOIS in Albania. Albanian citizens have been recruited by these groups to demonize the PMOI through media outlets they have purchased. More disturbingly, on March 22, 2018, two Iranians were arrested by Albanian police after evidence was uncovered that they were possibly preparing terrorist acts. Ten more people were questioned about their involvement, and the MEK was listed as a potential target of their plot. 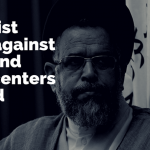 The threat to the safety of PMOI/MEK members continues to grow as the Iranian regime repeats its strategy of vilification of the resistance group. 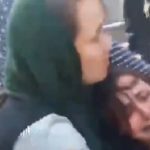 Past campaigns have led to multiple deaths and assaults on the PMOI/MEK. Two Iranian dissidents were assassinated in Turkey and the Netherlands in 2017, and new threats against the PMOI/MEK activists were uncovered in 2017 and 2018 by Western security services. 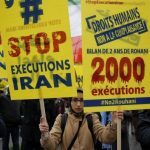 The next stage of the smear campaign against the Iranian opposition is set to occur on April 10, 2018. Ana Gomes, a pro-Iran Portuguese MEP, has scheduled a meeting in European Parliament titled “Mojahedin e-Khalq (MEK) a threat in Albania.” Ms. Gomes’ history of animosity toward the PMOI/MEK dates back to April 2007, when she introduced a series of resolutions to European Parliament which would have endangered the residents of Camp Ashraf and Camp Liberty. Her actions were criticized by members of both the European and British parliaments at the time and ultimately failed. Ms. Gomes has continued to make false and malicious statements about the PMOI/MEK and to meet with pro-Iranian regime groups. 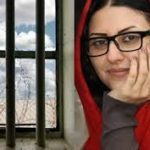 She has invited Anne Singleton (Khodabandeh), an Iranian agent exposed by a US Pentagon & Library of Congress report in December 2012, to speak at the upcoming meeting in European Parliament. Singleton has a history of working with the Iranian regime to defame the Iranian opposition. 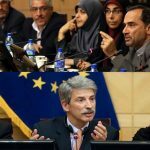 Other invited speakers at the April 10th meeting include Olsi Jazexhi and Migena Balla, a pro-Iranian regime couple from Albania, and Vanna Vannuccini, an Italian journalist currently living in Iran who is a staunch supporter of the Islamic Republic of Iran. 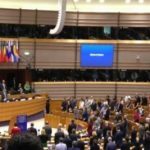 The upcoming meeting in European Parliament is great cause for concern. 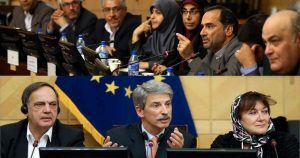 Iranian intelligence was expelled from Europe in a 1997 decision by the European Parliament, and this decision should apply to the listed pro-Iranian theocracy invitees. We call upon the European Parliament to strengthen their implementation of this decision and prevent these agents of the Iranian regime from speaking their false rhetoric in European Parliament.